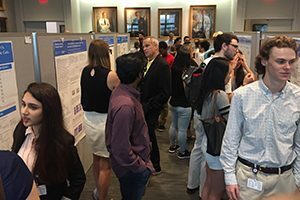 The Tri-Institutional Chemical Biology Summer Program (ChBSP) is offered jointly by the Tri-Institutional PhD Program in Chemical Biology and the Office of Science Education & Training at Memorial Sloan Kettering Cancer Center. This ten-week program is generously supported by the Sanders Innovation & Education Initiative of the Tri-Institutional Therapeutics Discovery Institute. 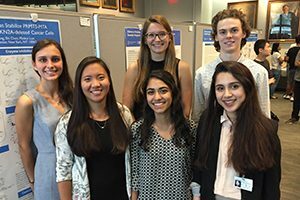 ChBSP brings outstanding rising sophomores, juniors, and seniors who are interested in pursuing research at the interface of chemistry and biomedicine for a summer research experience on the Tri-Institutional campuses of Memorial Sloan Kettering Cancer Center, The Rockefeller University, and Weill Cornell Medicine. Applicants must have a background in chemistry, biochemistry, or chemical biology. The program runs from June 3 – August 9, 2019. The application will be available beginning on November 1, 2018 and must be submitted online by February 1, 2019. Students will be paid $6,000 for the summer. Please note that we will be unable to offer housing to ChBSP summer interns, so students will need to have their own accommodations in the NYC area. Undergraduate freshman, sophomores, and juniors who are majoring in chemistry, biochemistry, chemical biology, or related fields are invited to apply to ChBSP. Eligible applicants must be authorized to work in the US. Students can complete and submit the online application at: sam.mskcc.org/ChBSP. The application portal will open on November 1, 2018. The application deadline is February 1, 2019. • Two letters of recommendation by faculty members who are familiar with the applicant’s academic preparation and research potential. Letters must be submitted by faculty members directly via the online submission system. 1275 York Avenue, Box 376, New York, NY 10065. Applicants will receive offers of lab placement no later than March 15.